"JEWISH IMPACT FILMS is proud to present the 2006 NY Jewish Student Film Festival Award-Winning Short "PASSOVER NOIR" http://www.jewishimpactfilms.com/ directed by Scott Fuselier written by Marcus Velelis starring Simon Feil concept design by Yariv Newman Shot in the Old City of Jerusalem this past December. Enjoy and please do your part to help get this around the world in time for Pesach. Special thanks to JEC for their involvement with and support of JIF, to David Sacks, Rabbi Yaacov Deyo, Brian Ash, and all the participants of the Israel Winter 2005 Trip. visit www.jewishimpactfilms.com for more! " "We grow up knowing that we must say Birkat Hamazon. We sing it, mumble it, whisper it, and usually swallow most of it. At the same time we make all types of gestures to each other. This is all unacceptable. The whole process is annoying to us. We avoid washing at all costs in order to avoid saying Birkat Hamazon. We find a Rabbi to say Pita, rolls, and Pizza are all Mezonot. Why? 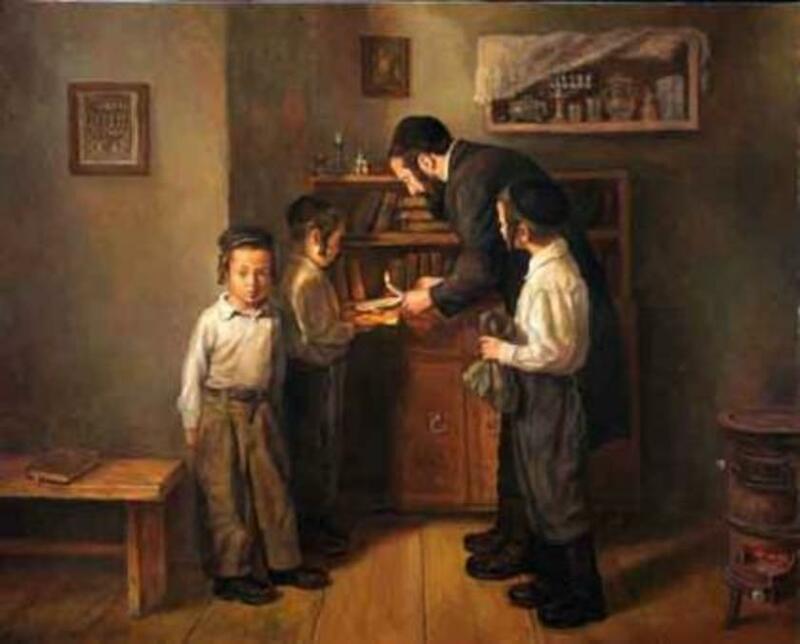 What is the fear of Birkat Hamazon? For most people it is too long. It is a major commitment. If they do say it, they cannot concentrate that long. Originally, the text of Birkat Hamazon, was never really fixed or formatted by our Rabbis. The Talmud has specific basic wording required, but otherwise the exact text varied from community to community. Throughout the generations, many Rabbis created shortened versions of Birkat Hamazon, to accommodate their society. Our father, Rabbi Yizhak Abadi, printed Birkat Hamazon in a shortened form. The wording is almost exactly as in the Rambam. The exact Halachic perspective and explanations are attached in a Responsa written in Hebrew by our father. " I would also like to point out that within the general pattern, there are a number of other midrashic style sub-passages, such as in the third section, the midrashic commentary to Devarim 26: 5-8 or in the second section, the Mekhilta passage on B'Yom Hahu. These are in teh style and arrangement of Tannitic midrash, such as Mekhilta etc. In my previous post, I suggested that among the qualifications of a person who can focus YCT and, by force of personality bridge its various objectives, is that he would personally identify with the right wing of Orthodoxy. A commenter appropriately asked: " Why would such a RW person want to have anything to do with YCT? And why would they want to do with that person?" This gives me an opportunity to consider the well attested phenomena of leaders who contributed and committed themselves to institutions significantly left of their own station within Orthodoxy. This has happened before, and not only in America, but also in other countries. A number of examples come immediately to mind and I am sure there are others. For starters consider the following: R. Moshe Soloveitchik in Tachkmoni, Suvalker Rov and R. Shimon Shkop in RIETS, Saul Leberman in JTS, R. Pesach Tzvi Frank and his circle in the Rabbanut. Why would a person like the one I described want, perhaps even desire to join YCT. Several reasons suggest themselves. 1.YCT represents an experiment. It is attempting to meld tradition and modernity and to do it in a way that is authentic and blazes new paths for the future. Right now, I believe it is failing. It has allowed individual agendas to dominate its public perception. It has not communicated its vision; perhaps it has not clearly defined its mission even to itself. However, chances that are that even if it re-emerges with a new clarity of purpose, it will still need to navigate between constantly changing imperatives. It needs a leader who can embody and present its different facets to the world. Rav Soloveitchik was such a man for YU. To this day his students argue whether he was primarily a brilliant Talmudist, religious philosopher, posek, community leader etc. I am not saying that YCT needs to engage someone like the Rov, for there is no such person. You must remember that a man who I described, a person with those skills and those attainments, can only function in the RW world with one motor going. Chances are he suppresses much. He probably remains in that world primarily because it more authentically speaks to his longing to be an eved hashem, because it represents a more fertile environment in which to lead a spiritual life. Modern Orthodoxy has little to offer a man like this. Still, such an individual probably does not follow the Party line in his conscience, even if outwardly he has learned to live with it , perhaps even express it. Give this person a spiritual inducement and he might be tempted. An opportunity to follow in the shoes of giants like R.S.R.Hirsch, R. Azriel Hildesheimer, R. Soloveitchik, R. Kook in formulating an answer for Judaism and modernity is just too good to pass up. 2.There is no question that a person of this caliber must be given an opportunity to leave a mark. He would come in with a program and he will not stay if his aspirations are ignored and his contribution diluted. This is the price that YCT must be willing to pay. Ideally, what it will gain is the Yiras Shomaim and the intense experience of personal religiosity through the influence of a giant of spirit. On the other hand, an opportunity to influence generations might be enough for for the proposed leader to cross political lines. 3.I do not deny that this individual would take grave risks. The risk of being branded by his former colleagues for betrayal is just as great as the risk of being ultimately forced out from YCT in humiliation by those who do not agree or have other ideas. However, taking a risk is a mark of an idealist. The chance to leave a legacy and help shape a novel institution might be just what this person deeply seeks and desires. R. Hirsch took such a risk when he resigned the position of the Chief Rabbi of Moravia to join a fledging congregation of eleven families - because he had a vision and he had a dream. Remember, we are talking about a person of highest order - nothing less would do for this job. A person like this lives and moves to a different tune than the rest of us and his motivations are more sublime. His actions and effectiveness might surprise us, and YCT. In my previous post, I pledged a follow-up. Now, after several weeks of farther reflection, I am prepared to share it. What, you may ask, qualifies me to offer analyses and why should you, the reader, give it your consideration? Perhaps,I might respond that I understand the milieu of YCT very well. Without giving much away, I can assure you, dear reader, that my background, experience and exposure, enable me to speak on this topic both as an insider and as an outsider. Even more importantly, I hold YCT to be a noble experiment that has much to contribute to Jewish life. Right now it is in great danger. I would like to help. As it is unfolding now, this valuable effort suffers from basic structural flaws. I hope that these words can assist in the process of self-re-evaluation that should be taking place among YCT leadership, to make YCT what it should be and become, for us and our children. YCT suffers from strategic confusion and lack of clarity. Vagueness had its place in organizations. As a temporary condition it keeps disparate factions together and postpones conflict. Yet, there comes the time of reckoning, when outside forces force the moment of truth and the organization is plunged into crisis. The moment had not yet come for YCT but it is fast approaching. The attention and scrutiny will not go away and it is only a a matter of time before is makes itself felt in dropping recruitment, fund raising and placement. Already, YCT faces a choice and it must recognize that it is facing a choice. It can allow demoralization, mediocrity and loss of morale slowly leach its vitality under unremitting attack. It can compromise its ambitions by obstinately shouldering on, as it hemorrhages talent and support, or it can clarify it mission and stake a clear position on which it can build and which it can market. It can bury its head in the sand and deny or it can take charge of its destiny. YCT is now where IBM or Apple were at a certain time in their history and its current predicament is easily recognizable by those schooled in organizational behavior and corporate management. The core issue is the confusion at the core. What is YCT? Is it an yeshiva, as its name implies, an institution dedicated to the study of Talmud and codes? Is it a glorified "chaplaincy", a rabbinic seminary program that trains its students to engage in communal work as Rabbis and educators? Or, is it a force for re-evaluation and revitalization of Orthodoxy through intellectual ferment and leveraging of academic and traditional learning to new forms of expression and worship? Here are three numbered statements from the web site. Each beautifully states a different ambition but each by itself is profound challenge for a small institution to realize. Quite simply, a school of the size and resources of YCT cannot possible accomplish all three goals. Hence - confusion! We at Yeshivat Chovevei Torah Rabbinical School (YCT) believe that the future of Orthodoxy depends on our becoming a movement that expands outward non-dogmatically and cooperatively to encompass the needs of the larger Jewish community and the world. For this vision to succeed, we require a new breed of leaders - rabbis who are open, non-judgmental, knowledgeable, empathetic, and eager to transform Orthodoxy into a movement that meaningfully and respectfully interacts with all Jews, regardless of affiliation, commitment, or background. YCT as an institution, and our students as individuals, are strongly and actively committed to the principle of Tikkun Olam, helping others and working to improve the larger world. On the collective level, students plan and organize rallies for support of Israel, travel to Eretz Yisrael in times of struggle and sorrow, spend time abroad with other seminaries on missions to help the poor and learn about living conditions in third-world countries. On the individual level, students work with the homeless, teach the underprivileged, and attend to the sick. Recognizing the critical importance that pastoral counseling plays in the rabbinate, Yeshivat Chovevei Torah places particular emphasis on its Pastoral Counseling Curriculum. Yeshivat Chovevei Torah is the only rabbinical school with a four-year pastoral counseling program. Taught by leading psychiatric professionals, this intensive curriculum includes formal classroom instruction, role-playing, clinical experience and mentored field work. The formal curriculum consists of classroom instruction and role-playing exercises. Students are taught the basic tools of interviewing, how to recognize mental illness and the resources available to them as rabbis. Particular emphasis is placed on topics that rabbis regularly encounter: religious doubt and personal change; rites of passage; adolescence; substance abuse; marital and family problems; sexual function and dysfunction; homosexuality; domestic violence; loss, tragedy and bereavement; and response to catastrophe. The first-year courses are organized around basic principles of counseling. The second-year courses follow the life cycle, giving an overview of normal development as well as addressing potential difficulties. In their third and fourth years, students take seminars in chaplaincy, marital and family therapy, and psychology and religion. Fieldwork with direct clinical supervision is an essential part of the curriculum. In their third and fourth years, students rotate through an intensive chaplaincy program and meet regularly with senior clinicians to discuss pastoral issues that arise during their internships. This intensive theoretical and practical course of study ensures that, by graduation, students will emerge as rabbis who are empathic, trained and knowledgeable pastoral counselors. Each year of YCT students has a mental health professional who meets with that group 1 hour weekly for the full four years of the program. In this completely confidential setting, students are free to explore issues of faith, authority, training, personal situation, etc. We believe that by offering students this opportunity we create an atmosphere of trust and respect that will extend to their capacity for compassion and tolerance once they leave the yeshiva. A certified social worker, who is herself married to a rabbi meets with students’ spouses monthly providing them the opportunity to discuss the role of being married to a rabbi – impact on family life, privacy, and religious expectations. The goal of the Talmud curriculum is to produce Torah scholars (talmidei chakhamim) who are both fluent in Talmud and its medieval commentators (rishonim) and who can look at these texts from a variety of vantage points. Our Halakha curriculum aims to create knowledgeable, empathic halakhic decisors (poskim), who are skilled in the science and art of halakhic decision-making and who use mature judgment in rendering halakhic rulings. Survey courses examine a wide range of topics from a variety of perspectives: Biblical, rabbinic, medieval, kabbalistic, Hassidic, modern, postmodern and non-Orthodox. In-depth seminars focus both on specific areas of thought, such as prayer, Jewish ethics, and feminism, and on specific thinkers, such as Maimonides, Yehudah HaLevi and Rav Soloveitchik. All classes include readings of primary texts as well as relevant secondary sources. Two required classes of note are "The Rise and Development of Jewish Denominations" and "The Challenges of Modern Orthodoxy." The latter class addresses contemporary issues such as: dogma and doubt, academic Bible and Talmud study, the nature and scope of rabbinic authority, the role of values in halakhic decision making and gender issues. Our entire curriculum is taught at the highest levels of academic excellence by leading talmidei chakhamim and scholars to an outstanding student body. All of our students who have taken the Israeli Rabbinate ordination exam, universally recognized as the most demanding in the world, passed on their first attempt. Now, I ask you, how does a small institution maintain focus and present a consistent picture of itself when it wants to have everything. Personalities differ. Those interested in new directions and intellectual revolutions generally do not enjoy day-to-day involvement with interpresonal issues of congregants. Those committed to academics resent the time that exploration of poitical and communal issues takes away from study time. Those who want to do rabbinic social work are not often cut out for life of the mind and excellence in study. YCT problem lies precisely in that it has not chosen its core mission. Therefore, it implements everything poorly. The students get an exciting hodgepodge of knowledge tidbits, commanding speakers, and a sense of destiny and purpose and they are pleased. However, they do not know better. It is the leadership's responsibility to give to them what they need, deserve and do not know they need. How can YCT transition past this problem? There are, I believe two ways. 1. It can clarify its goals and focus on one primary mission. It would have to clean house of those who do not agree with this mission and change in ways that facilitate achieving its new goals. This is regrettable. It will be forced to compensate those who are forced to leave because leaders made mistakes but there is no way round it. Interests and abilities of new staff must be aligned directly with the newly defined goals. It would do well to start with R. Broyde's suggestions. Whatever course it chooses to follow, it must be clear, well-argued and transparent. It must not be accused of hiding or trying to be all things to all people. Not responding is not "higher ground"; it is evasion of responsibility by a public institution. This is crucial for its ultimate survival. 2. The second option is Post-facto; and not the one I would recommend upfront. However, it can work. YCT can continue to try to bridge its distinct aspiration and this can only be done in a person. Only a human being can contain the incompatibles and make them reside together in apparent harmony. YCT can bring in a Mashgiach, a rare personality who can in his persona bridge incompatible goals. Needless to say, such people are rare and far in between. This unusual individual will need to command the broad fields of Mussar/ Chassidus, Jewish Thought, secular learning, academic Jewish studies, rabbinics; possess a towering intellect and a multi-disciplinary sweep of many subjects, be a man of integrity, intellectual openness, and extraordinary interpersonal sensitivity and tact, possess excellent writing and speaking skills, and be personally a part of the right wing Orthodox world - known and respected within it. It goes without saying that such an individual will expect and must be given the credibility to impact and shape the yeshiva. The leadership of YCT must understand that to a man like that they cede some control and be prepared to co-operate and work collaboratively with a person of such stature, or he will be out in three months. Know such people? I can think of a couple, but not more than that. Even with this, it is tall order, as long as the strategic direction is not fully clarified. All in all, the time is ripe for YCT to reassess. Commercial businesses often call in consultants when they cannot understand why something is going wrong. I hope that the leadership of YCT is prepared to do the same, "lehgdil Torah u'lehadirah". In the Hassidic Jewish community of Stamford Hill in north London, artists are as rare as women who work outside the home. So to find a woman artist living here is particularly unusual. But then, by her own admission, Gitl Wallerstein-Braun is "unorthodox orthodox". Now aged 57, she graduated from London's Central Saint Martins last year and is already achieving international success with her photographs of her sculptures. B. 1950 in Haifa to nazi death camp survivors. 1968 Married to a rabbinical scholar. 1976 Settled in London and Brought up my 8 children in the Jewish ultra orthodox community of Stamford Hill. Lev Shestov ( 1866-1938) was a Russian-Jewish thinker, active in the expatriate circles in Paris in the beginning of the 20th century. From an assimilated Odessa Jewish family, he evolved a peculiar philosophical system that saw human intellectual history as swaying between the polarities of Athens and Jerusalem. The former represented linear thinking, belief in logically ordered, and schematic explanations of reality. Classical philosophy, science and rationalism stemmed from Athens. Jerusalem, on the other hand, is the perception that arises out of the Biblical mindset - that there are no rules, that there is only God and man meeting in the Encounter in the midst of absurdity, suffering, longing and impossibility of knowledge of the Divine. Shestov preferred Jerusalem to Athens; however, he never explained where an individual goes after the Encounter. The Jew within him found the encounter itself sufficient justification... but his Gentile students were not satisfied with experience of Godliness alone. One of these student was a French librarian by the name of Bataille. "Shestov helped his student cast aside the bounds of Enlightenment rationalism, but what the two saw in its place differed widely. Shestov's anti-rationalism placed the suffering individual before the inscrutable God. This is the point where Shestov's philosophy fell silent in order to make room for faith. Bataille, the former Catholic, did not seek God except to blaspheme. Instead, like so many of his generation, he sought a program - a politics, even if it was a politics of irrational violence - and that carried him away from Shestov, into the bizzarieries of the 1930's. Referring to Boileau's story that Pascal always required a chair to be placed at his side in order to reassure himself that no chasm yawned there, Shestov admonishes: "We run needlessly into abyss, after having put something there to prevent us seeing it". Shestov spent a lifetime arguing that we have to acknowledge the fundamentally irrational nature of existence, to face the abyss. To face it but not to run heedlessly into it. How it must have shocked him that his student would remove every reassuring chair, then plunge in all the same". Parable is a truly Jewish form of expression. Some see in it a reflection of a concrete reasoning style, in which the abstraction remains intimately tied to a specific example. This quintessentially Semitic mode of expression is modeled after how the Chumash itself presents legal material - through cases. When Western thought separates abstract principles from the specific cases, they are easily misunderstood, misapplied or misinterpreted. Playing with, stretching and evolving isolated concepts is a malady of Western intellectuals, who not infrequently passionately support frameworks and constructions far removed from reality. A parable guides against such an outcome by manipulating abstractions inherent in concrete cases. David Stern in Midrash and Theory: Ancient Jewish Exegesis and Contemporary Literary Studies, Northwestern University Press, 1996, summarized contemporary academic views of Midrashic parables. These have been variously seen as illustration , secret speech  or rhetorical device . Some traditional scholars  would probably also add another group and say that they often serve educational and pedagogical means. If so, tt stands to reason that a story that is told for educational purposes need not be 'true' in every detail'  although it is absolutely true in the sense that its message is true. How and to what extent aggadic stories are literal is something that continues to be debated into our own day and requires a separate discussion . Suffices to say, everyone agrees that some stories are clearly not literal while some along with their details are certainly literal and received by tradition . The area in between had been subject to disagreement since the time of the Rishonim. Some rishonim allegorized freely and others only as last resort. The aggada that we now discuss illustrates a moral principle by relating a story about David and his general Yoav. A number of details of this story present various difficulties. One school of thought would attempt to resolve these difficulties by argumentation and reasoning, what we may call pilpul . Alternative approaches would invoke the view of this particular aggada as pedagogy and obviate the difficulties as irrelevant for integrity of the message. A mistake once it enters, it enters, as it is written, "for Yoav dwelt six months there until he had cut out every male from Edom (Kings I, 11)". When he came before Davis , David said to him, "Why did you do so?". The commentators assume that Yoav failed in some fashion and that he was supposed to have totally destroyed Edom , men, women and children. Instead, he had only killed the males and that was what David questioned. The difficulty with this explanation is that while we are commanded to destroy Amalek , Edom is supposed to be treated with kindness ; what's more, David himself appointed governors over Edom and did not destroy it. Had he been commanded to do so, why did he not himself fulfill the command, when after Yoav's conquest it was in his power to do so? The Maharsho attempts to answer this question by suggesting that David had some private reason to ask Yoav to destry Edom at that time. Presumably it no longer applied after the war was completed . The answer requires elaboration based on the rest of the story . He answered him; "Because it says, 'Destroy the males, 'zakhar', of Amalek". He said to him, "But we read it as zekher", rememberance!". He responded ; "We were taught to read 'zakhar". He went to his rebbe and asked; "How did you teach us (to pronounce it?)" He said: "zakhar". He lifted the sword to kill him. He (the teacher) said" "Why?". He answered: "For it says, "Cursed be one who does the work of Hashem deceitfully (Yirmiah 48) ". He told him: "It is enough that I be subject to a curse". He countered: "Cursed be he who holds his sword back form shedding blood (ibid, the end of the previous verse)". Some say that he killed him; some say that he did not kill him (Bava Basra 21a). In addition to Maharsho's question, the classic commentators are troubled about the proportionality of subjecting a lazy teacher to capital punishment. In addition, it is hard to see how killing the teacher corrects his mistake in transmitting something that apparently was not properly transmitted to him by his teacher either. Clearly, classifying this story as a transmitted tradition brings along many questions concerning the details reported within it. Viewing it as pedagogical story, one that is essentially a parable designed to bring home the important lesson that teachers must be exceedingly careful in how they teach their charges, obviates such difficulties. Do we, the in our day have the authority to take an easy way out of difficulties that might be solvable with enough application and persistent study? Can it take us down the slippery slope of over-allegorizing whatever we do not immediately understand? These are certainly important concerns that should make us think long and hard before we propose facile solutions to difficult passages. Perhaps, it is more acceptable and certainly more honest to view this approach as an interim solution, until we either learn of or innovate a solution that preserves the integrity and authenticity of Midrashic parables. 4 M.C. Chajhes, Student's Guide to the Talmud, a reprint was published recently by Yashar Books. 7 We have previously demonstrated in this series that certain 'late' Midrashic elaboration represent a continuous tradition widely shared by canonical and non-canonical writers, an evidence of widespread Oral Tradition that can often be traced at least to early Second Temple period, and oftentimes to late Biblical works. 8 See Ramban to Genesis 32,12 who discusses this point. Amalek was an illegitimate son of Eisav and our brotherly obligations do not extend to him. 9 To fully inderstand this Maharsho, see his comments to Sanhedrin 103b, where he says that Edom should have been prohibited to marry into Israel, just as Amon and Moab who also did not welcome the Children of Israel on their way out of Egypt; however, he had some kind of merit that protected him. The merit is probably that of his forefathers, as the Ramban mentions in his commentary to Devarim 23,5. 10 If I was not afraid to make a novel claim, I would propose that David chastised Yoav precisely for killing every male in Edom while all that was required was to rout her armies. 11 The context is destruction of Moab and the prophet curses those nations who would slack in G-d's work and hold their sword back form shedding its blood. We passed twenty thousand today. In all fairness, I must point out that several thousand hits were generated by a single post, to my great surprise. There is still a lot for me to learn about this medium. Nevertheless, thank you and chazak!